With Valentine’s Day right around the corner, what better destination can you visit to top the romance charts other than the beautiful and breath-taking city of Malibu? Whether you just want to sip wine on a balcony overlooking the sparkling Pacific Ocean, or take a healthy and scenic hike through the Santa Monica Mountains, there’s no better place to get your romance on than the one and only Malibu. When you’re on the hunt for the perfect thing to do in Malibu to make this Valentine’s Day the best yet, don’t miss out on these top romantic excursions. 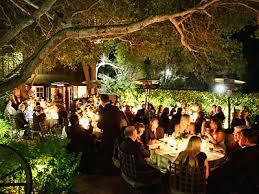 Sit back, relax, and sip some wine at the famous Rosenthal Malibu Estate and Surfrider Wine Bar & Patio. Rosenthal is the one and only wine bar along the Pacific Coast Highway in Malibu and is a perfect destination to spend a romantic evening. Enjoy your favorite wine along with delicious cheese, crackers, sliced meats, and other perfect snacks to pair. 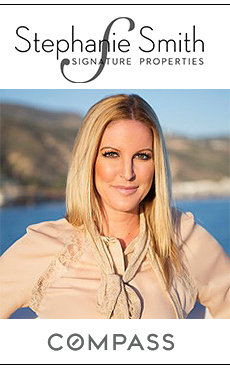 Check out Rosenthal – The Malibu Estate at 18741 Pacific Coast Highway. As one of LA’s most popular wine tours, the Malibu Wine Trail Tours offers a beautiful and memorable journey through Malibu’s Wine region. You’ll be driven around by a professional driver who will take you to different tasting rooms with a private wine tastings followed by delicious lunch including, of course, wine! Perhaps you’re in the mood for a scenic hike for a romantic excursion? Located about 50 miles west of downtown LA, Circle X Ranch is a perfect trail to take to escape the city life. Check out Sandstone Peak, the highest point in the Santa Monica Mountains! You’ll get the best views of both the Pacific Ocean and the mountains from the top. What can be more romantic than horseback riding with your lover? Check out the Park Place Stables, located 4 miles from the PCH. Park Place has its own private trails with breath-taking views of the Pacific Ocean and scenic locations over the canyons and valleys. Located along the strip of seashore nicknamed “Billionaire’s Beach” this unique boutique hotel offers complete relaxation, from their 47 well-appointed rooms and suites, each with a private balcony, to the breathtaking views and magical sunsets you’ll enjoy while having an Executive Chef create a once-in-a-lifetime beachfront gourmet dining experience. A night at Malibu Beach Inn is sure to make this Valentine’s Day unforgettable.